Here’s a reminder for Staples Recyling Week! 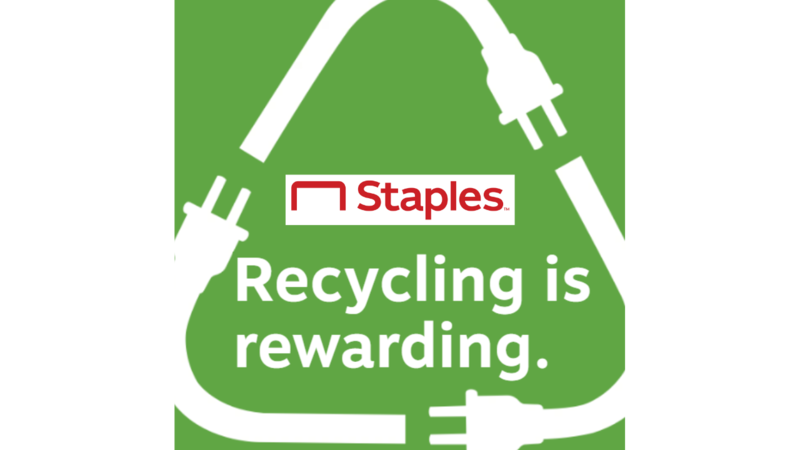 If you have some old electronics to get rid of, Staples is offering Rewards Members a $10 off $30 coupon when you recycle any unwanted electronics in store! Head in store through 4/27 and recyle up to 7 electronics per day. Some examples of electronics that can be recycled include laptops, copiers, gaming systems, coffee brewers and more! If you aren’t a Staples Rewards Member yet, it’s Free to join. You’ll get up to 5% back in rewards and next day delivery on orders $49.99 or more! Note: Select items are not available to be recycled. See the full list before heading in store. See more office store deals!